Our Attention metric shows at which points your audience attention rises and falls whilst viewing your content. Attention has two measures: Volume and Quality. Attention Metric from Realeyes on Vimeo. The volume shows the average volume of attention respondents paid to the content. 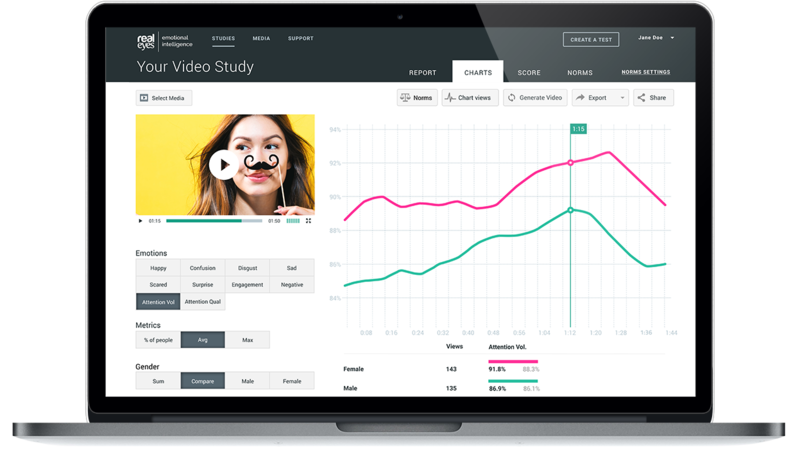 For example: A score of 50% means that throughout the video half of the viewers were attentive to the content on average.